Ascot is to launch its own pool betting operation next summer supported by the existing Betfred-owned system, rejecting the opportunity of joining the rival operation being put together by the majority of Britain's racecourses. Ascot chief executive Guy Henderson said the decision was not a snub to the racecourse collective, but it is likely to be criticised within parts of the British racing industry. Betfred's seven-year exclusive licence to run pool betting in Britain expires in July 2018, when courses will become responsible for managing their own on-course operations. At that point AscotBet will be launched, supported by the systems, infrastructure and liquidity provided by the Betfred-owned Totepool in a five-year deal. Henderson said: "AscotBet is all about delivering to our 600,000 customers that race with us annually the best possible betting service that we can bring them. "To do this we need the support of proven systems, infrastructure and liquidity, and the key thing from 2018 is that racecourses are going to be responsible for the on-course offering and they have a range of options. "All courses are different and in this context our particular challenge is the scale and profile of our operations. After a really extensive review over 18 months the clear conclusion was that the right way forward in 2018 for our customers was for AscotBet to be supported by Totepool's proven systems and infrastructure." Asked whether the decision meant he had concerns about the racecourse collective's plans, Henderson said he did not think it was for him to comment on how they would support their operation, nor did he think the move should be seen as a snub. "Whatever we had decided there will be at least two UK pools from 2018," he said. "Totepool will carry on, there will be the racecourse collective, and in a liberalised market there could actually be any other pool business that some entrepreneur or business wants to set up." Henderson added: "The racecourse collective will be launching with a business model without Ascot and I am absolutely sure it will be a success, and we wish it well." Henderson said it was "too early" to be specific about what the financial benefit of the move could be for Ascot. He added: "As you would expect, we carefully reviewed the right balance of capital outlay and operational, technical and commercial risk to deliver that service, and all returns will be invested in our business to support growing prize-money and improving facilities." Ascot said it would roll out 'Bring Your Own Device' tote technology on site at this year's royal meeting, and that AscotBet would be introducing flexibetting - whereby customers nominate the amount they wish to stake on permutations and are paid a percentage of the dividend if successful - on course. Off course, Ascot's pools will still be accessible through Tote Direct, which is offered in the vast majority of betting shops. 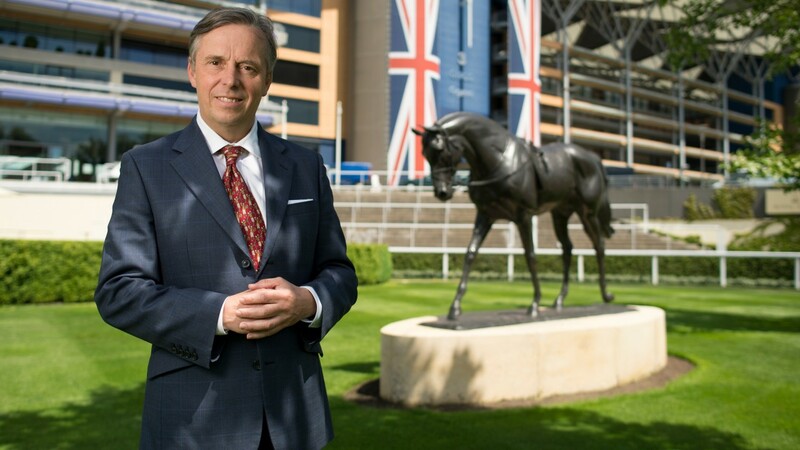 Betfred founder and chief executive Fred Done said: "I am delighted Ascot has agreed to partner with Totepool and it is a privilege for us to work with the leading racecourse in the UK, and indeed the world. "I have no doubt that Totepool, one of the most established pari-mutuels in Europe, will produce a class-leading partnership with Ascot for many years to come." Neil Goulden, chairman-designate for the racecourse-owned pool betting operation, did not wish to comment on Ascot's decision. However, he said: "July 2018 sees the end of the Tote monopoly on pool betting on racing. Every racecourse will be free to decide its own path in respect of pool betting as that date approaches. "What our project offers is a partnership whereby racecourses collectively own and run their own on-course pool operation and share in a growing income from other channels of distribution." He added: "We continue to work with the vast majority of racecourses and hope to make an announcement shortly."